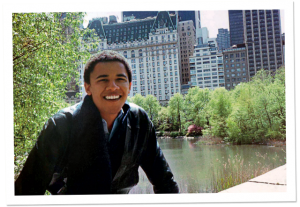 As a TSE fan what really interested me was an excerpt from a letter he wrote to her discussing a paper she was writing on the ‘The Wasteland.’ Beyond anything else his writing reinforces Obama’s intellectual strength and broad vision even at this early stage of his life. Imagine George Bush or Romney… no I won’t go there. American actress and writer, Linder Alper is flying into Sydney to specifically attend my memoir-writing workshop, Skeletons & Dirty Linen. Fulbright scholar and Shakespearean actress, Alper had been looking for a new creative approach to writing her one-woman show, when she read about the Australian workshop on the Internet. “I needed something that was going to really challenge me, and a course which specifically examines family relationships is exactly what I was looking for.” she said. A key part of my teaching method revolves around the construction of a sociological diagram known as a Genogram. I’m convinced the use of this particular visual approach as a memoir-writing tool is a world first. The Genogram, a sophisticated family tree, helps to explore family relationships and to quickly identify various influences in a person’s family history. Using specific symbols these patterns clarify the nature of emotional and social relationships, living conditions, and recurring disorders such as alcoholism or depression. Used as a memoir-writing tool, a Genogram helps to place the really confronting issues into perspective. The first of six 2-hr weekly workshops is on May 24, 2012 at 6.30pm at Newtown.